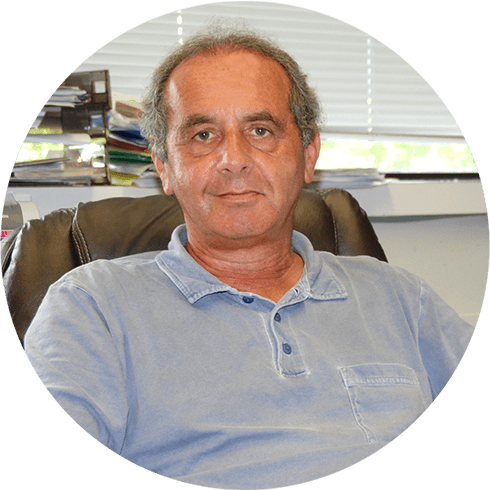 Dr. Anisman’s research addresses neurochemical and immune effects of stressors, and his laboratory has found that many of the neurochemical alterations associated with stressors are the same as those elicited by immune challenges. Moreover, these are thought to contribute to the development of depressive disorders and Post Traumatic Stress Disorder (PTSD). Their studies have analyzed the neurobiological changes that occur within the brain and documented the conditions under which these are most apt to occur. To a considerable extent the neurochemical changes elicited by stressors are determined by psychosocial and experiential factors. For instance, prior stressor experiences may induce the sensitization of neurochemical processes so that later stressors reinstate the neurochemical alterations and thus re-instil pathological conditions. Conversely, being able to cope effectively with a stressor limits the neurochemical changes engendered, and thus reduces pathological outcomes. Dr. Anisman’s work has extended to populations under threat including second generation Aboriginal survivors of residential schools, second generation Holocaust survivors, traumatized Somali immigrants and dating abuse victims, in whom he has examined how coping methods such as social support moderate responses to these stressors. "Orsha and NeuroTrition have provided the opportunity to disseminate information regarding science-based stress and lifestyle processes in relation to health, and I can’t pass up on the opportunity. As well, given her insights on the nutrition front, I wanted the opportunity of collaborating with her by offering my expertise related to stress processes, including inflammation and immunity." Anisman, H., Hayley, S., Kelly, O., Borowski, T. and Merali, Z. (2001). Psychogenic, neurogenic, and systemic stressor effects on plasma corticosterone and behavior: mouse strain-dependent outcomes. Behavioral Neuroscience, 115(2), 443-454. Ravindran, A.V., Matheson, K., Griffiths, J., Merali, Z. and Anisman, H. (2002). Stress, coping, uplifts, and quality of life in subtypes of depression: a conceptual frame and emerging data. Journal of Affective Disorders, 71(1-3), 121-130. Anisman, H. and Merali, Z. (2003). Cytokines, stress and depressive illness: brain-immune interactions. Annals of Medicine, 35(1), 2-11. Anisman, H., Merali, Z., Poulter, M.O. and Hayley, S. (2005). Cytokines as a precipitant of depressive illness: animal and human studies. Current Pharmaceutical Design,11(8), 963-972. Anisman, H., Merali, Z. and Hayley, S. (2008). Neurotransmitter, peptide and cytokine processes in relation to depressive disorder: comorbidity between depression and neurodegenerative disorders. Progress in Neurobiology, 85(1), 1-74. Anisman, H. An Introduction to Stress and Health. Sage Publications. London, 2014. Anisman, H. Stress and Health: From Vulnerability to Resilience. Wiley, 2015. Kusnecov, A. & Anisman, H. (Eds) Handbook of Psychoneuroimmunology. Wiley, Blackwell, London, 2014.